Road to Ultra, the brainchild of the organisers behind music festival brands Ultra and Ultra Worldwide, will be making its debut in Singapore on September 19th! 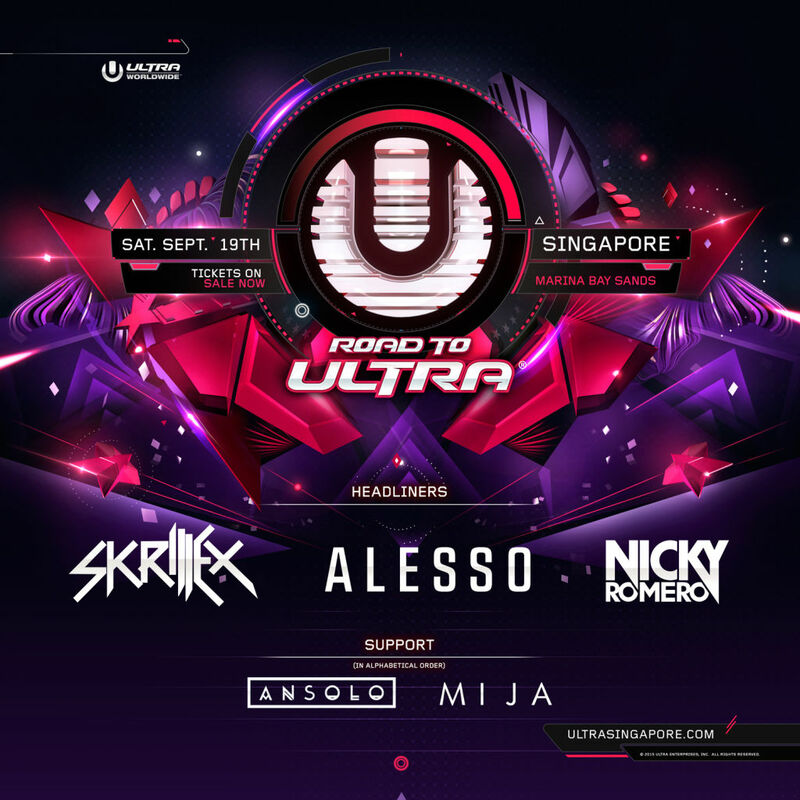 The festival will be held at Marina Bay Sands Convention Centre, and will include the likes of Dubstep prince Skrillex, Swedish progressive house producer Alesso, and EDM wunderkind Nicky Romero, together with support acts Ansolo and Mija. Organisers have said that early bird and Phase 1 tickets have been sold out, leaving Phase 2 tickets available for purchase at $168 (General Admission) and $198 (Premium General Admission) respectively. The Road to Ultra serves as a prelude party to the hotly anticipated Ultra Music Festival, which will be held in Miami, Florida, from 18-20 March 2016. The Road to Ultra will mark one of the biggest electronic music festivals to have been held in Singapore. Previous editions have seen DJs such as Tiesto, Hardwell, Martin Garrix and Above & Beyond helming the festivals. Prev post “7 Letters” Is The Most Visual Gift To Singapore This #SG50 Next post Harper’s Bazaar: Calling All Fashion Designers!